Faith played a critical role in the early church; God’s hand was constantly at work in the book of Acts. By faith in God and through the power of the Holy Spirit, the church took root and grew boldly and boundlessly. The Christian life was an adventure! We have that same Holy Spirit at work in our lives today. What serendipitous adventures might God have in store for us? We can trust God while “being transformed” and expect God’s movement as we “prevail in prayer,” even in seemingly impossible circumstances. Consider this series by Chuck Swindoll a catalyst to submitting your life to the adventure of faith God has in store for you. 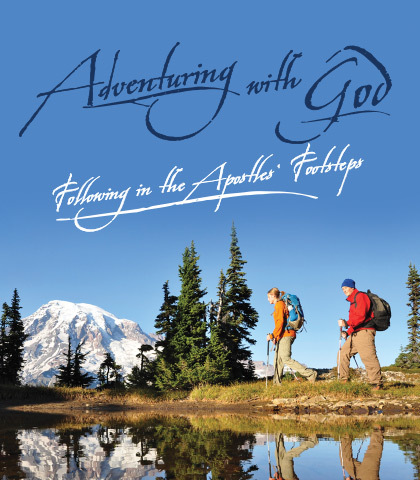 The apostles certainly had their share of adventure! After receiving the Holy Spirit in the Upper Room on the day of Pentecost, they embarked on the journey of a lifetime. Empowered and emboldened by the Spirit, they preached the Gospel and performed extraordinary miracles, touching others’ lives as they went. Let’s take a look at how they effectively ministered to others so we can discover some positive principles to use in our own lives. God’s miraculous power might seem distant or theoretical at times, but it’s not. It is real! The Acts of the Apostles proves it, teeming with true stories of supernatural encounters and glorious surprises. In this lesson, we discover how God used intercessory prayer to perform an incredible miracle in the life of Peter, the fisherman-turned-apostle. Change is one of life’s rare certainties! We aren’t exactly the same people we were last week, and we won’t be exactly the same next week, either. With each day and each experience, we grow to become different people.